I got a small bottle of Infinesse Derma Pump Lotion, changed the formula from Infinesse Moisture Lotion IA, on AW2017. I tried to find but could not the sample of the previous formula, so I can not compare to let you know. I could not find anything difference on the Albion Infinesse Derma Pump Milk and previous Moisture Milk IA, and guess there are less difference between these current and previous lotions. This is a half-transparent white-ish lotion, guess it is not so much different from the previous formula, as I remember. It is not pretty much sticky, but watery. I had no need to worry about sting on my skin. After using this, my skin is better condition: neither dry nor oily. 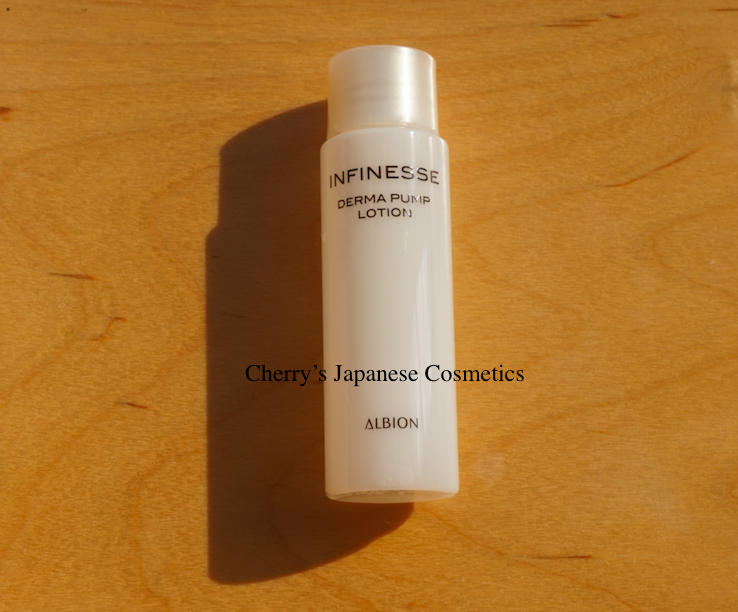 Guess there are no change the scent, and yes, the problem is its perfume… too floral for me :(( This is only one problem of this Infinesse lotion in person. But Sarah of Hong Kong, she used the previous formula, Infinesse Moisture Lotion IA, and she had described that it smells nice. Yeah, perfectly up to you. It is very moisturizing, even more so than Excia Lotion. But it is at the same time more sticky than Excia, but it is acceptable.